Despite being a city endowed with high access to water, Addis Abeba has recently been hit with one of its recurring bouts of water shortages. Taps have been running dry for several days in a row, and residents and businesses are complaining of the financial burdens they have faced and the inconvenience it has created. Nevertheless, water shortages have opened up business opportunity for vendors that operate around the city distributing water in yellow 20-litre jerrycans. Nonetheless, have created difficulties and extra expenses for public institutions such as health centres. The authorities admit that there is a persistent problem and claim that they are working to address it. The main culprit is the city's large water demand, according to sources from the Addis Abeba Water & Sewerage Authority. The city is only able to meet 60pc of the demand of its estimated four million residents. To a lesser extent, frequent power outages, and lack of maintenance of the water infrastructure have contributed to water shortages. The water authority has said that at least 17pc of the pumped water never reaches consumers, as aging and broken pipes disgorge water back into the environment. There are efforts underway to address these bottlenecks including ongoing projects to improve the water infrastructure. The new deputy mayor of the city, Takele Uma, has also promised to strengthen the institutional capacity of the organs of the city dealing with the water distribution system. 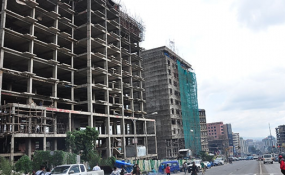 Addis Abeba, the city with the highest population in the country, has continuously grappled with weak service delivery of water, power shortages, drainage problems and undependable trash collection, areas which have remained constant headaches for successive administrations. YOU CAN READ THE FULL AGENDA HERE.